Virginia Gov. 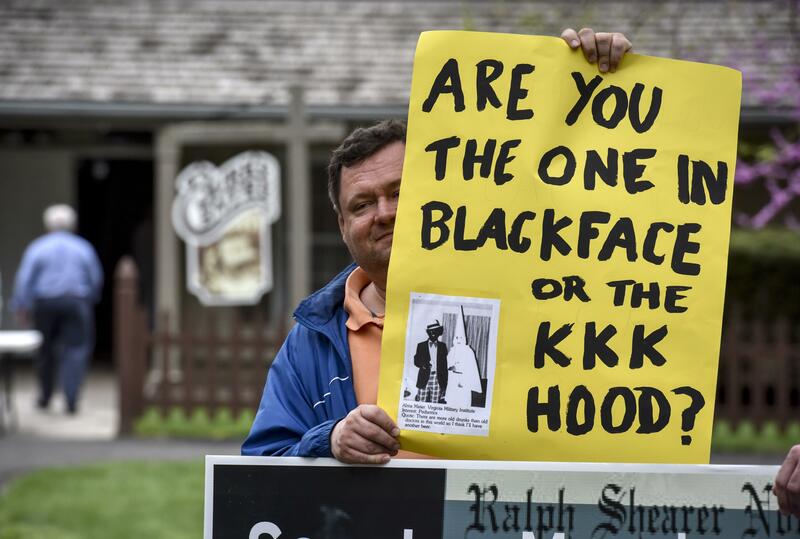 Ralph Northam, who has faced calls to resign since he admitted to wearing blackface during a dance contest in the 1980s, dropped out of a planned appearance Sunday at a Democratic state lawmaker’s fundraiser during which he would have faced protesters. He cited safety concerns as the reason for the cancellation. Northam’s scheduled appearance drew about 60 people from the NAACP and another 30 from the state’s Republican Party, with the two groups assembling on either side of an asphalt walkway on a muggy and gray afternoon. Both groups took Northam to task for his admission to wearing blackface, but Republicans also protested his pro-abortion rights stance. Kofi Annan, president of the Fairfax County NAACP, said he has been disappointed that prominent Democrats have ceased to call for Northam’s resignation – and he worries that it “normalizes” his behavior. “We want to send a message to all the Democrats in Virginia that … Governor Northam is not OK with us,” Annan said in an interview. “No Democrat in this state wins an election without black and minority votes,” he said. The governor’s office said it extended an offer for Northam to meet with the Fairfax NAACP, but they declined. While protesters from both sides joined in on chants – “Hey, hey, ho, ho, Northam has got to go!” – they were hardly in lockstep on their reasons to call for him to step down. Republicans have seized on comments he made during a January radio interview about a bill that would have reduced restrictions on late-term abortions, arguing that he suggested killing live babies. Northam has called the notion that he had endorsed infanticide “disgusting,” but he has refused to clarify his comments. Abortion dominated many of the signs Sunday. The Washington Post’s Laura Vozzella contributed to this report. Published: April 14, 2019, 9:37 p.m.